This is the criminal indictment filed today (January 13) by New York prosecutors against rapper Sean "Puffy" Combs, who was hit with weapons possession charges. The 30-year-old entertainer was arrested on December 27 when cops found a loaded gun in the car he and girlfriend Jennifer Lopez were fleeing in following a shootout at a Times Square nightclub. UPDATE: The Puffy video you won't see on MTV. 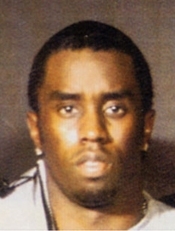 Click here for more from Puffy's rap sheet.